The training requires the operator to have the ability to plan the work, carry out basic forklift checks, shift loads in a safe manner and close down and secure equipment once the job is finished. This course is a great way to get a cheap forklift licence that still has national recognition. This training course is based on the National Standard for Licensing Persons Performing High Risk Work and it satisfies territory and state licensing requirements. Any changes will create a unit which is unacceptable to regulators for the purpose of licensing. Components, controls and features of forklifts and their functions. Load shifting processes and procedures including work platforms. Guidelines of the safe removal of hazards and obstacles from a workplace. The hazard control measures with elimination, substitution, isolation and engineering control measures being selected before safe work practices and personal protective equipment. Communication guidelines in the workplace. Get permits and licences e.g. if forklift needs to be driven on a public road. Demonstrate safe and environmentally responsible workplace practices. Operate a forklift in an industrial environment. Complete the above operational tasks. Trainees will provide work clothes and safety boots. ComSec will provide a training site and any necessary equipment. Commonwealth, state or territory OH&S legislation, standards that apply to safe forklift truck operations. Understanding of forklift capabilities and characteristics (including the use of load data plates). Understanding the hierarchy of hazard identification and control. Organisation and workplace standards, requirements, policies & procedures for running operations for the crane class. Procedures for recording, reporting and maintenance of workplace information and records. 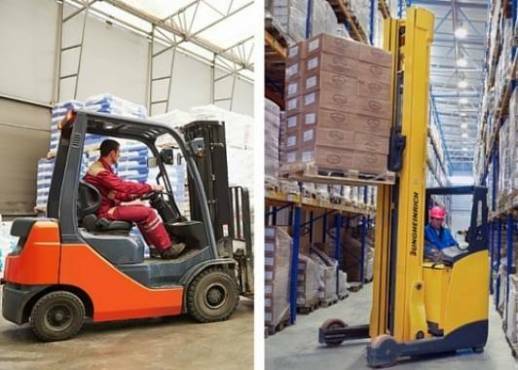 Forklift truck operations and safe operating techniques. Typical routine problems encountered during crane operation and equipment and adjustments needed for correction. Sufficient literacy, numeracy and English skills to write legibly, handle basic calculations and be understood. Be strong and dextrous enough to carry out basic maintenance and safety checks and operate a forklift truck as required. Enrol Online OR Phone 1300 851 581/ (02) 96435911 to make a booking. You must bring in 100 points of identification as proof of identity on the day of training with appropriate documentation as per the form. At least one form of ID MUST BE a photo type ID such as an RTA driver’s licence, proof of age Card or current passport AND proof of current NSW address. Bookings must be placed a minimum of two days before the start of the course. Must bring current Photo Identification.